Are you looking to produce a video/film in Italy? From video shorts to documentaries, NEEDaFIXER has you covered. Looking to Film a Documentary in Italy? A feature film? Or maybe a video for your Luxury Hotel? NEEDaFIXER has it all when it comes to full-scale video & film production. We have an extensive Italian team covering everything from location scouts to filming crew, from camera operators to assistant directors. Our one-stop shop makes filming in Italy much easier & quicker, backed by superior quality staff and work-output, you can be sure that NEEDaFIXER will deliver above and beyond. Italy has a long history of being a sought-after location for feature films, commercials, food and travel shows, historical documentaries and famous music videos. When looking at the variety of the landscape, the glorious weather, the inviting culture, and the delicious local cuisine, it’s not hard to see why! 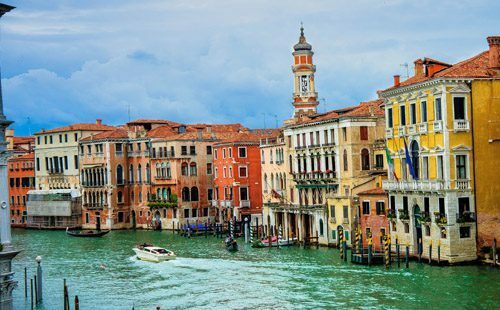 Lap up the luxury on the Amalfi Coast, sail down the iconic canals of Venice, or take in the beauty of the Colosseum in Rome. There is much to enjoy in terms of fantastic landmarks along with natural beauty in the way of beaches and orchards. The Roman ruins are a sight to behold, while cosmopolitan cities and areas like Milan and the Italian Riviera are luxury defined. Tax relief has been available to filmmakers since 2008, with international feature films being able to claim back 25 percent of qualified production expenditures, going from a CAP of €5 million per project to €10 million per company. If you are looking to bring your next production to Italy and require professional assistance in doing so, let NEEDaFIXER help. 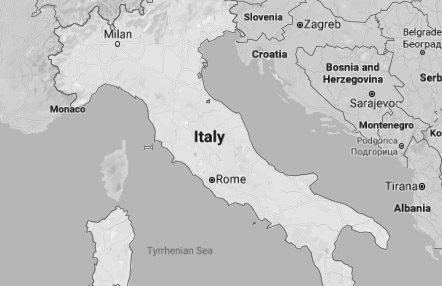 We have fixers in almost all major Italian cities standing by ready to assist, regardless of the size or stage of your production. Our fixers are available to join at any stage of the process, whether you are just getting started and making preliminary arrangements or are well underway with your shoot. Our experienced team can help you with anything from passports and visas to procuring travel and accommodation, translating, sourcing local talent, arranging equipment hire and much more. Our seasoned fixers can provide valuable support to productions of any shape and size. If you need assistance from the experts for your film shoot in Italy, click here to send us an email. You can also call us on +44 (0) 20 8549 2259. All enquiries will be answered within 24 hours. This is easy thanks to Italy’s simple permit laws. The film-friendly nature of the country makes it a production haven. Having said that, church property requires permissions via the church directly and many of the historical monuments and archaeological locations will require time and money for a permit to be issued. Entry is dependent on your country of origin, but in general, it is not difficult, especially as Italy is an EU and ATA Carnet country. Yes, you can find both standard and specialised equipment locally, at various rates. NEEDaFIXER Italy has amazing connections with local suppliers and can guarantee cost-effective rates. The north of Italy sees snowfall in the mountains during winter. Central Italy stays relatively humid throughout the year. The best of the weather, however, is in the south, which remains dry and warm for the majority of the year.